Sure, the idea of budgeting your spending and saving money doesn’t sound like fun…but saving money and having a savings plan is critically important to building personal wealth. There can be many unknowns when it comes to creating a savings plan, but that’s where an Automatic Savings Plan can help. The amount of money you can save over time with an automatic savings plan depends on you, but even saving $25 a week can add up quickly. Take a look at how much you can save over time with an Automatic Savings Plan. 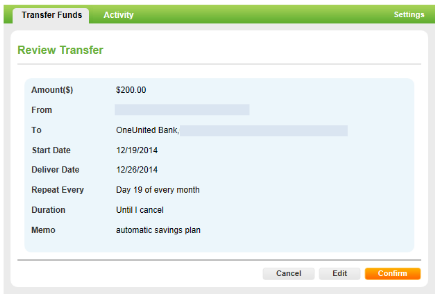 You can easily set up an automatic savings plan with OneUnited Bank’s online banking. Your savings plan can be set up between an external bank account to deposit into your OneUnited Bank savings account or between two existing OneUnited Bank accounts. 4. 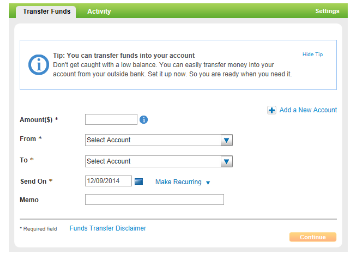 Complete the Transfer Funds screen with the Amount, From (account at another institution), To (OneUnited Bank account) and Send On date, then click the drop down arrow next to Make Recurring. 5. Then complete the Repeat Every date to set up a frequency, then select a Duration. You may enter a Memo as a reminder for the transfer. 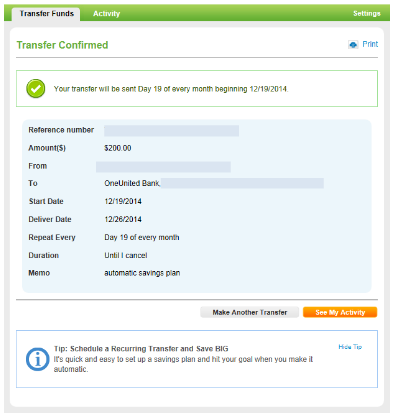 Click Continue to view the Review Transfer screen. 8. The Transfer Confirmed page will be displayed showing that the transfer is activated. 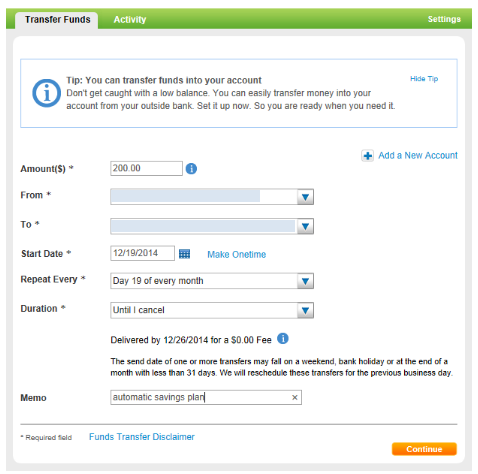 Complete the Add Scheduled Transfer form with the From Account/To Account information, Start Date, Frequency of the transfer, and the Number of Transfers or the End Date of the transfers. Click Save Transfer at the bottom of the screen to activate the internal recurring transfer. 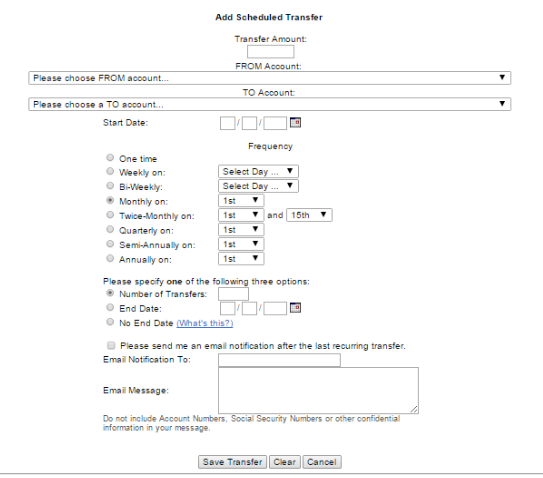 Then click Confirm Transfer to complete the process!